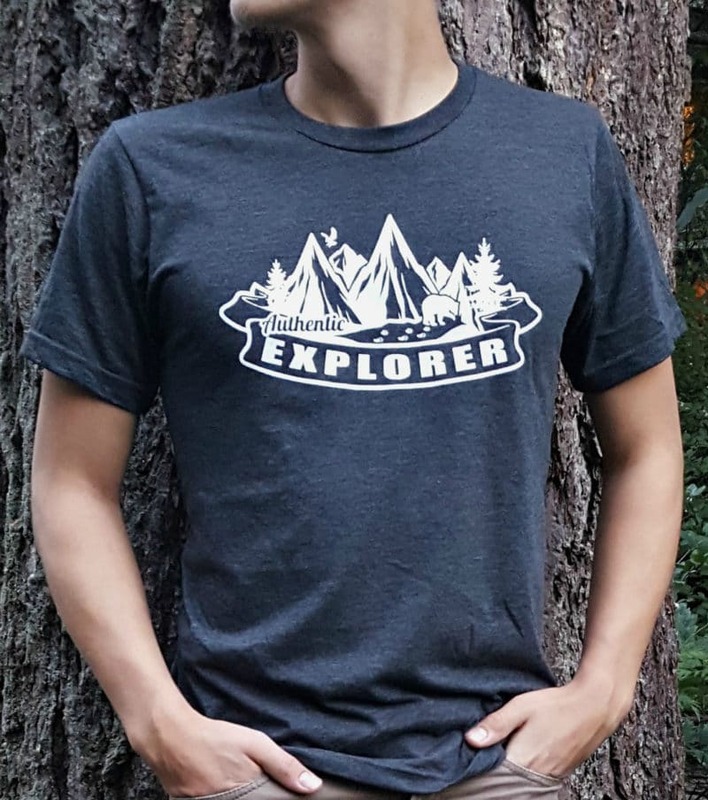 We’re happy to add our Authentic Explorer Eco Tri-Blend Youth tee to our collection! 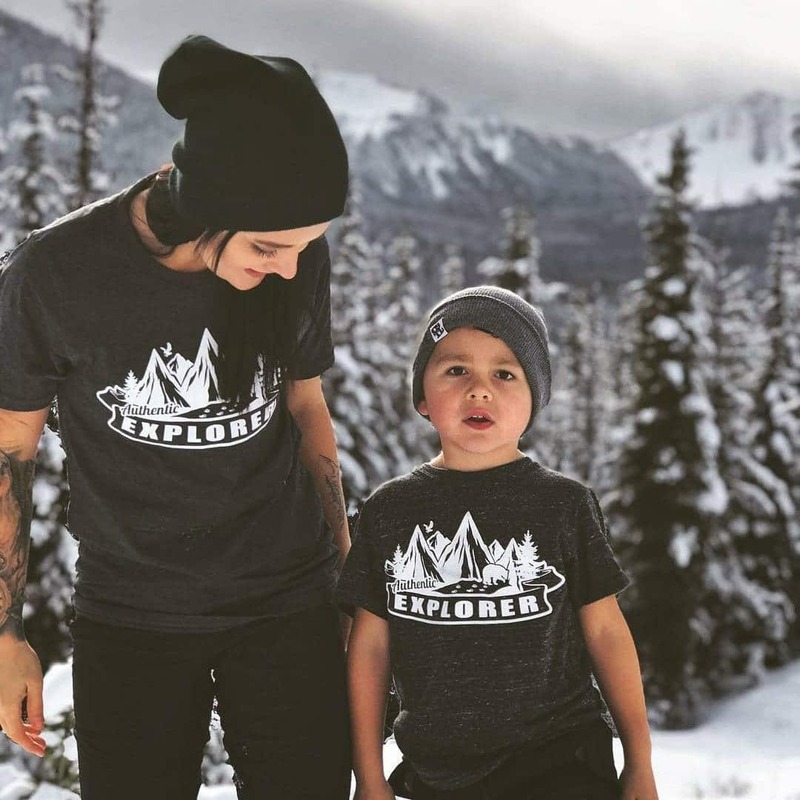 This design is a classic – one of our most popular tees – and we’re excited to make it available to all the little explorers out there! The crisp hand-screened logo really pops on this heathered charcoal tee, and it’s lightweight comfort makes it perfect for kidtastic adventures! Made from 50% recycled RPET polyester (from discarded plastic bottles), 37% organic cotton, 13% rayon. The quote above is so true – parents can find much joy in discovering alongside their children when they step out together in the great outdoors! 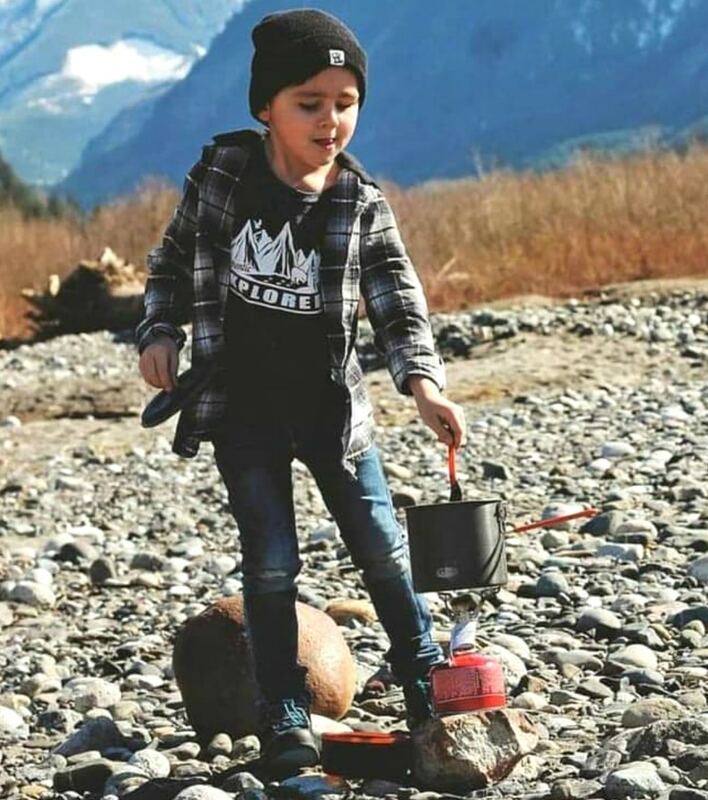 The little outdoorsman modeling our tee is a perfect example of the great rewards offered when families explore together! 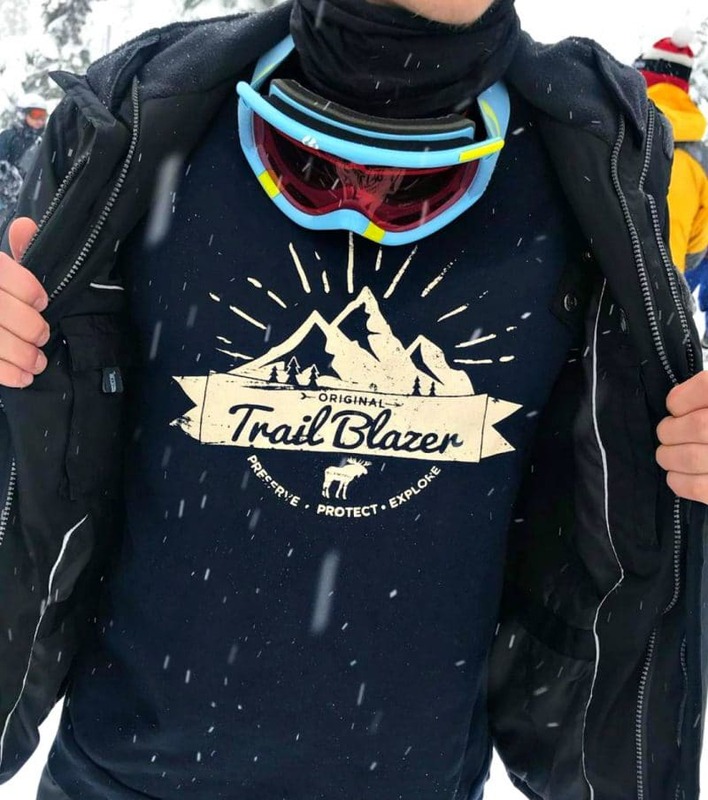 You can follow along on their adventures in beautiful British Columbia, Canada by checking out their Instagram account: @britt.venturesout!